Dealing with any illness can be very difficult and frightening. Feelings of helplessness can be distracting and cause you to be less proactive about seeking solutions and desperation can sometimes lead to rash choices and indiscriminate acceptance of inaccurate diagnosis. At times it can even be difficult for women to get a proper pcos diagnosis from some doctors which can cause even more frustration. This is especially true when you are a woman who is dealing with hormonal changes that are impacting your fertility, or ability to conceive a child. However, PCOS is an issue whether you are struggling with infertility, or the many other pcos symptoms involved. Once you have discovered that PCOS is the issue, it then becomes clear that pcos treatment is the next step in learning how to have a good quality of life while dealing with this syndrome. Fortunately, it isn’t all bad. What a lot of people might not know, is that there are a few different ways that you can treat PCOS, and one way is completely natural with a pcos diet. Polycystic ovarian syndrome (PCOS) is an endocrine disorder that affects women as they reach reproductive age. Even though science has unable to uncover a bit of information, there are still quite a few things that are not understood about it, which leads to improper diagnosis. It is estimated that 70% of women or more who have the disorder are completely unaware that they have it. The difficulty comes from the fact that most cases are not discovered until women reach an age where they are married and attempting to get pregnant. As the disorder goes untreated, there are a varying amount of risks that you could be dealing with without being aware at all. PCOS is the leading cause of infertility and pelvic discomfort among women. If you’re wondering why such a huge issue goes without public knowledge or major announcements, then it’s most likely because the previous attempts to find the causes of this disease have yet to be revealed by modern medical techniques. This difficulty has manifested into a lot of frustration and stress for the women that suffer from the disorder, sending many desperate people to find any possible solution from frequently baffled healthcare professionals. How would you know if you had PCOS? Over the last few years, observations from researchers have revealed a set of common symptoms among those that has PCOS. It should be noted however that a lot of people don’t have many of the symptoms until other factors are present, and some cases a few of the symptoms never appear at all. For the majority of women with PCOS, their menstrual cycles will remain relatively normal, but there have been a large number of cases where women saw changes to their cycle. For some, their periods may stop altogether. Most normal cycles occur from between 22 and 34 days, so an irregular cycle would be considered to be anything outside of those expected timelines. These changes can also be marked by a decrease in the frequency, or the discontinuance of ovulation for several months. These periods may also become a time of heavy or very light bleeding. PCOS causes the body to produce several androgens that cause your body to manufacture much higher levels of skin oils. This can result in more clogging of the pores, and thus cause serious acne. Young women who are going through puberty might even experience severe acne blemishes as a result of their overactive oil glands. This would make it very difficult to take care of the skin, even with the help of the multitude of products that have been developed to help people to gain some relief from painful acne conditions. Another commonly reported effect of PCOS, is the appearance and new growth of hair. This can be hair on the arms, face, chin, neck, sideburns and even the chest. This affects nearly 60% of all women with PCOS. This growth is due to androgens that excite the hair follicles in these body areas and cause new hair growth to take place. On the other side of the coin, there are a group of women with PCOS who experience other male effects in the form of hair loss. Though somewhat less common, the loss of hair can cause a lot of other issues that stem from a damaged self-image. As you might understand, it can be very difficult for women who are facing this illness to stay positive. While there may be chemical factors at work that intensify depression and anxiety to some extent, it should be notes that many of the aforementioned symptoms would be more than enough to damage the disposition of any healthy person. The androgens that affect the menstrual cycle can easily reduce the fertility in some women. This is mostly due to the irregular menstrual cycle and the lack of viable eggs. According to studies however, it seems that the number women is generally even between those who live with and without PCOS – though it should be noted that the women who don’t have PCOS are likely to be dealing with other sets of factors that impact fertility. Being overweight can reduce fertility to a large extent, so if you are planning to get pregnant, then having an exercise regimen would go a long way to helping you increase your chances of becoming pregnant. It has also been discovered that a large portion of the people who have PCOS also seem to have some occurrences of type 2 diabetes n their family. Doctors were able to demonstrate that blood sugar has a small amount of bearing on the effects of PCOS, and much like the type 2 diabetes that can run in the family, it has other effects that can cause unpleasant sudden sensations of pain, and even nausea. Lifestyle can also play a huge role in how you experience symptoms. As already mentioned, weight gain and insulin resistance are tied in some ways. The part that is most import to remember is that weight gain can be a trigger that reveals PCOS. In previous surveys, it had been discovered that many of the people who became subjects of the study hadn’t previously shown any symptoms of PCOS. They remarked that the symptoms only became apparent after period of weight gain. 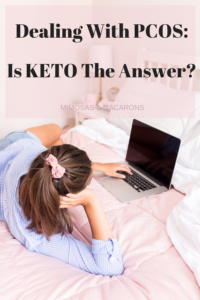 The primary reason why the keto diet is so effective at helping with PCOS is because it puts you into a dietary regimen that makes it easy for you to avoid foods that might negatively impact your insulin resistance. Sugary foods are a major part of western modern diets, and they are famous for ramping insulin resistance. During those types of diets, the body will generally use converted glucose for fuels, but since the early 20th century, researchers have known that the body will run just as efficiently on stored fats. Once your body has moved to metabolizing the fats that you have stored up, you’ll begin to lose weight, which will improve your insulin resistance. There are a variety of keto diets available, but you should pick one that’s easier for you to follow. If you set yourself up ahead of time as often as you can, it will encourage you to stick to the diet. Look for fun recipes that you can perfect and show to friends. That way other people can appreciate the delicious meals that you enjoy. Part of having any successful diet is having some kind of a plan. If you take the guesswork out of your daily meal schedule, then it’ll be a lot easier to have a successful experience with your keto diet. 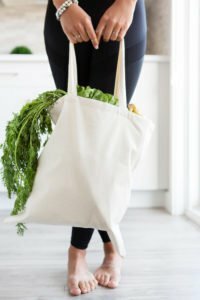 This next few sections will share a few meal plans that you can use to get you started on the keto path for a better quality of life while living with PCOS. Here’s a fun iron and protein meal to start your day. Put the olive oil in the pan and heat until hot but be sure the oil doesn’t burn off. Take the yellow pepper and slice it. Place the pepper slices into the oil and lightly fry until they are softer, then heat and spread the spinach leaves out along the bottom of the pan. Stir the mixture until it’s decently mixed. Mince the garlic and add it to the mix. Make a space in the center and cook the eggs however suits you the best. Remove from heat and serve for a power packed breakfast! Who doesn’t love a taco salad? This recipe will be relatively easy for nearly any skill level. Get one pounds of lean ground beef and brown it being sure to keep it moving and cooking evenly. Once it’s completely cooked, add the salt, chili powder, cumin, and garlic salt. Stir the mixture until the meat has a reddish color, then remove from heat. Take romaine lettuce and slice thinly to about 1 cm in width. Cut up the cilantro, then cut tomatoes into small pieces. Dice up one green onion. Add the chopped scallions. Add the cheddar cheese. Toss vegetables and top with the cooked meat and sour cream. Now you have a remarkable taco salad that will help you to your journey to health! Do you like simple Asian influenced meals? Then this is a great healthy recipe that will give you a great helping of proteins, fiber, and vitamins. Gather some avocado oil, and your favorite teriyaki sauce. Cut up the broccoli into the thinnest sections that you can. Slice the cabbage as thinly as you can. Slice the bell peppers into strips or dice depending on how you want your food to look, but the slices may make it easier to eat. Slice a boneless and skinless chicken breast piece into strips. Cut up the green onion stalks. Mince the garlic and set it aside for now. Heat a pan and add the oil. If the oil smokes, it’s too hot. Once hot add the broccoli and let it cook for a minute before adding the bell pepper. Add the chicken and cook until no more pink shows. These are a quick and delicious treat that will have you smiling every time you take a bite! Lay each lettuce leaf out on a plate. Place the turkey on the lettuce as flat as you can, followed by the cheese, 2 slices of bacon the cherry tomato slices and then top with a small blob of guacamole. Sprinkle a little salt and pepper on the wrap and roll it up. Repeat this procedure for each. This makes a great lunch or snack with friends. 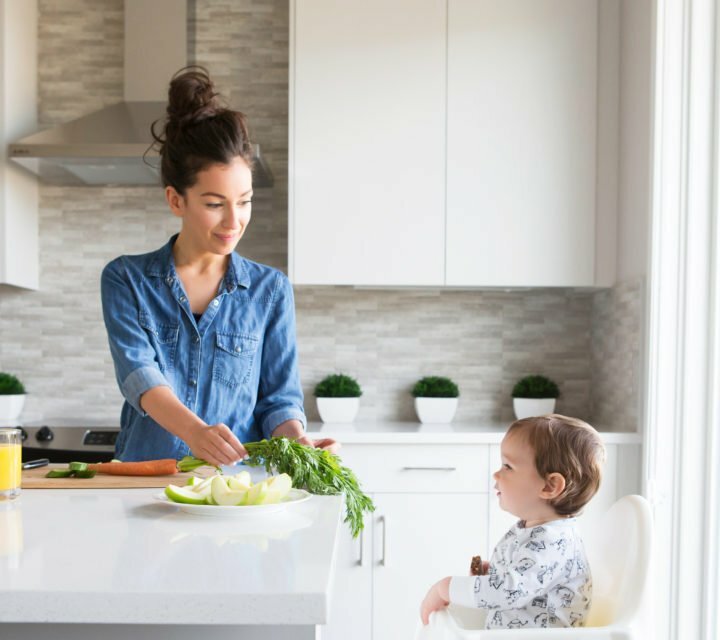 Living with PCOS can be very challenging, but there are things other than diet that you can do to alleviate some of the strain placed on your system that leads to the unpleasant effects. Below are a few extra lifestyle modifications that you can try.